If you want to grow healthy, strong plants indoors year round, using hydroponics grow boxes is one of the most successful options. 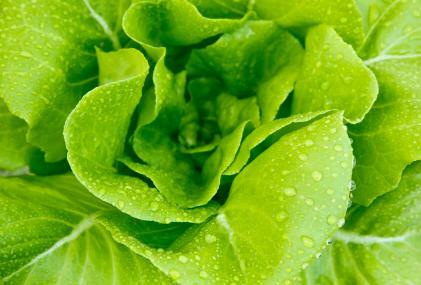 Hydroponic gardening systems can be simple or highly complex, but all require the inclusion of these containers. Simply defined, hydroponics is a method of growing plants in water infused with nutrients normally provided by soil. Ancient civilizations with no fertile soil in which to grow crops to feed their people developed the first hydroponic gardening systems. Modern hydroponics incorporate advanced lighting, cooling and feeding systems to consistently produce healthy plants in grow boxes. Apartment and condominium dwellers who have no access to soil or have no outdoor space for container gardening often favor hydroponic grow boxes. Gardeners who relish control of every aspect of their growing environments also enjoy manipulating atmospheric conditions to achieve optimum results. Lighting System: In addition to reflected natural light, hydroponic grow boxes need artificial light sources to ensure the proliferation and health of the plants through mimicking outdoor light changes that occur during different seasons. The most common lighting systems are HPS (high pressure sodium), MH (metal halide), CFL (Compact Fluorescent Lights), HID (High Intensity Discharge) and LED (Light-Emitting Diode). Hydroponic Systems: This is the part of the box that provides the rich water source that grows the plants. This aquatic set up is made up of one or more types of hydroponic infusion systems including aeroponic, wick, floater, drip, ebb and flow or DWC (Deep Water Culture). Water Filtering System: Filters made from natural and manmade materials eliminate particles of nutrients and other substances. CO2 Systems: To enhance the photosynthesis rate in the grow box in order to encourage growth, the CO2 levels must be controlled. Use disposable cans that slowly release the gas or tanks with adjustable release rates. The latter is more cumbersome and the tanks require refilling but many hydroponic gardeners prefer them to the disposable cans. Ventilation System: For plants to prosper, they must have good air circulation coupled with appropriate humidity levels. A combination of rotating, induction and light hood cooling fans creates the best and most uniform hydroponic grow box atmosphere. Carbon Filters: To prevent unpleasant odors created by the dirt, plants and water from spoiling quality of the surrounding air, boxes are equipped with carbon filters. Hydroponic gardening systems range in price from under $100 to thousands of dollars. You can build your own from materials purchased online or at regular brick-and-mortar stores dedicated to hydroponic system sales and service or purchase complete packages with simple set-up procedures. Research system alternatives to make sure you choose the best options for the type of plants you will grow, the space you have available and the amount of money you can invest.